N40, 28mm wall track is used to support the N29, 28mm Furring Channel at the ceiling to wall junction when the furring channel is used in a suspended ceiling application. N40 Wall track is a J Shape Channel, often termed “J-Track” which has a larger face on the top of the channel when it is installed making it easy to slide the furring channel into the wall track from the floor. By installing wall track a support is not required for the furring channel right next to the wall, as this is often hard to get to and difficult to install. N40 Wall Track is fixed around the perimeter of a room at the required ceiling height. Fixed to the wall through the back face of the channel, the Furring Channel is then installed into the Wall track and fixed with a screw through the bottom lip. 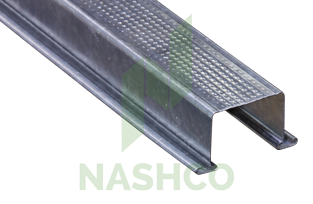 Wall Track can be installed with the larger leg on the top or the bottom dependent on installer preference, however it is most common for the larger leg to be installed to the top so the Furring Channel is easier to install. Wall track is only required on 2 ends of a room, the ends that the furring channel end against. However it is commonly installed on all 4 sides of a room, removing the need for a furring channel next to the wall. The Wall Track supports the sheet against the wall and provides a firm connection between the ceiling and the wall. 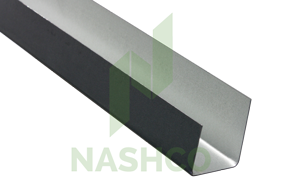 N40 Wall Track is also often used with N29 Furring Channel to create bulkheads. By fixing the N40 Wall Track to both the ceiling and the wall at the required points, N29 Furring Channel can be fixed into the channel. The ends of the Furring Channel are then capped with another section of N40 Wall Track to create two small light-weight frames that are fixed together at the intersection creating a fast and easy alternative to timber framed bulkheads.